Constância, “Poem Village” unites action, adventure, fun and group dynamics. A program that “tastes” like holidays and brings us closer to a natural and privileged environment. 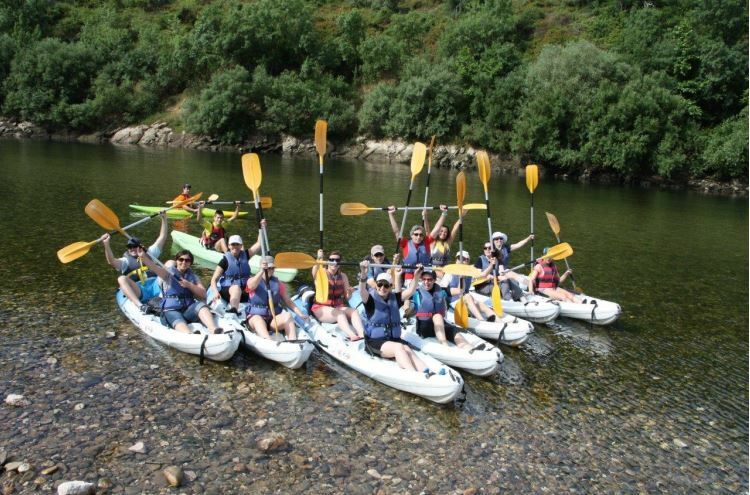 We start the morning with a canoeing descent on Tagus or Zêzere rivers. The barbecue lunch by the riverside is the middle way to the afternoon activities, which include an orienteering game in the Poem Village with group dynamics and Suspended Rappel from the Bridge.